Shell-matrix sites are one of the most widespread archaeological deposits in the world. 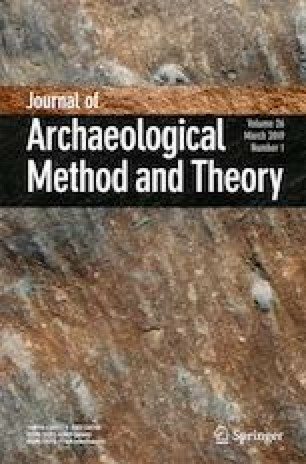 They inform archaeologists about human adaptations to coastal environments, the evolution of coastal economies, ritual practices, and prehistoric architecture. In recent years, the micromorphological study of Brazilian shellmounds and a shell midden from Tierra del Fuego revealed unique information about the human behaviors related to the formation of shell-matrix sites. These investigations refined our knowledge concerning the upward sequence of events involved in the growth and post-depositional evolution of the deposits. Micromorphological studies denied the traditional view of shell-matrix sites as simple secondary deposits of food remains, providing evidence of trampling surfaces, midden redeposition, domestic spaces, abandonment episodes, and intra-site differences. Dissimilarities were detected in the pre-depositional history of sediments in the shellmounds and shell middens that also attest to differences in site use and function. This comparative study highlights the role of micromorphology in the study of shell-matrix sites as a unique approach intended to disassemble the sequence of events hidden in the intricate stratigraphies. The technique has the potential to reveal microdepositional events and/or the weathering process of the seemingly thick layers of densely packed shell that characterize shell-matrix sites worldwide. The author thanks the financial support of FAPESP (Fundação de Amparo à Pesquisa do Estado de São Paulo, proc. 04/11038-0, 08/51264-0, and 2015/19405-6), CNPq (Conselho Nacional de Desenvolvimento Científico e Tecnológico, proc. 142532/2008-8), and Bank Santander. Special thanks to Paulo C.F. Giannini, Jordi Estevez Escalera, Paulo DeBlasis, Marco Madella, Assumpció Vila, and Andrea Balbo. New photomicrographs of the thin sections were done at the Microarchaeology Laboratory of the Museum of Archaeology and Ethnology, University of Sao Paulo, Universidade and the Petrology Laboratory of the Institute of Geosciences. Thanks to three anonymous reviewers for their helpful comments. Borella, F., Favier-Dubois, C.M. (2008). Investigaciones arqueologicas en la costa del golfo san matias. Publicación electrónica de la facultad de Ciencias Sociales UNICEN. 10, <www.soc.uncien.edu.ar/newsletter/nro10>.